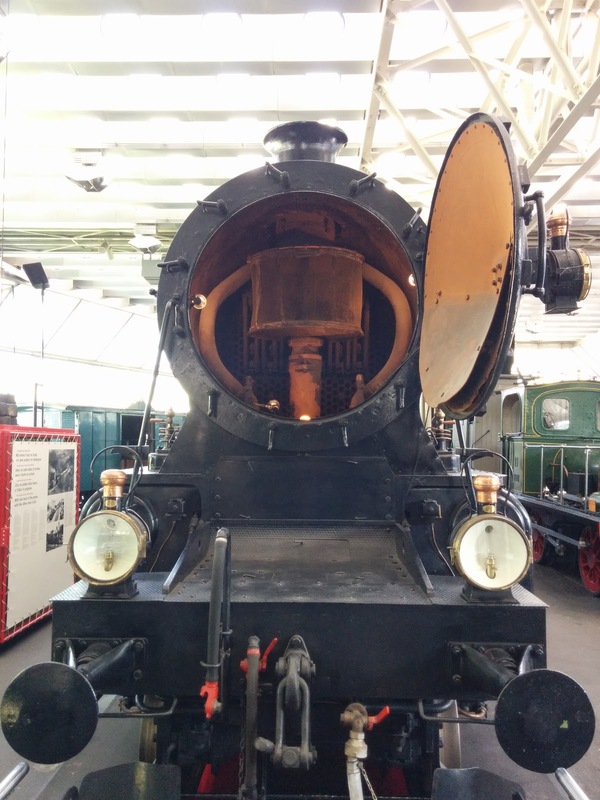 While most of the locomotives at the museum are electrically powered, there is some steam on display. 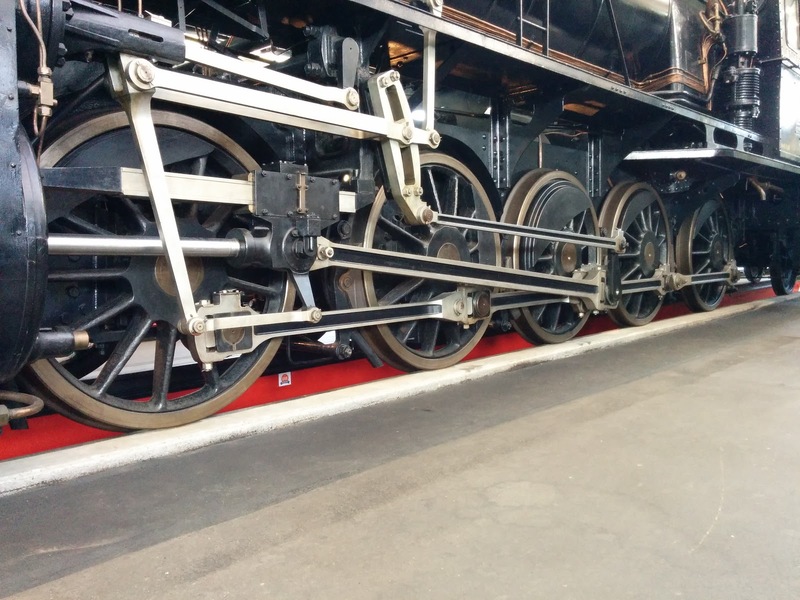 I'm fascinated by the mechanical engineering that goes into building locomotives, and is readily visible in particular with steam locomotives. 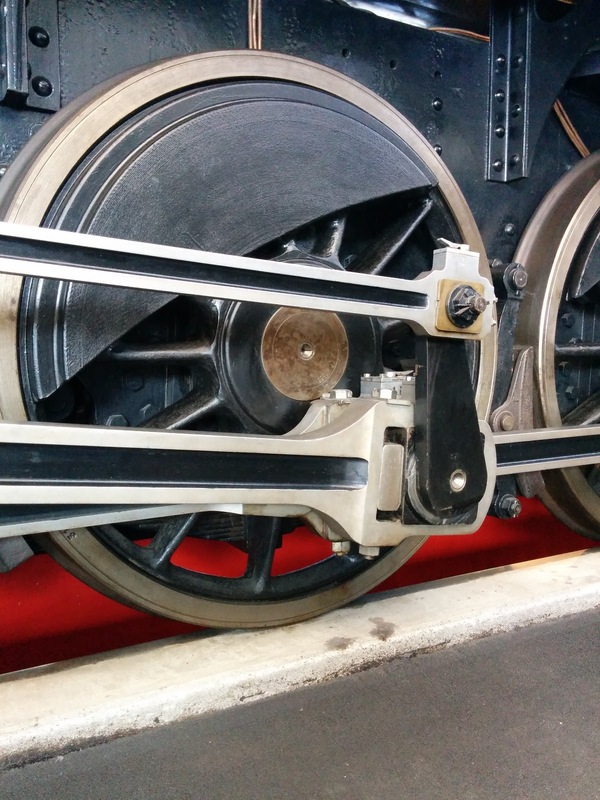 One can walk under the locomotive and examine it from below. 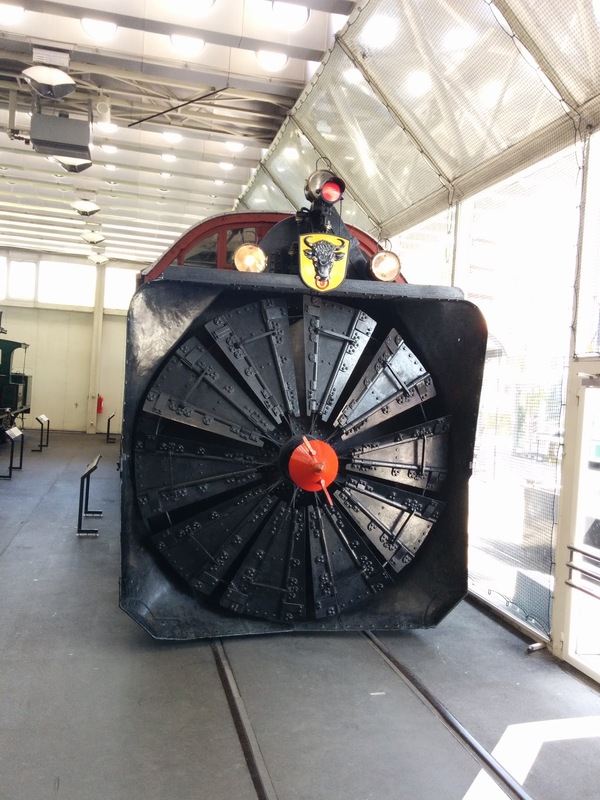 Starting in the 1890's steam-powered, fast-spinning snow rotaries became practical for use on railroads. 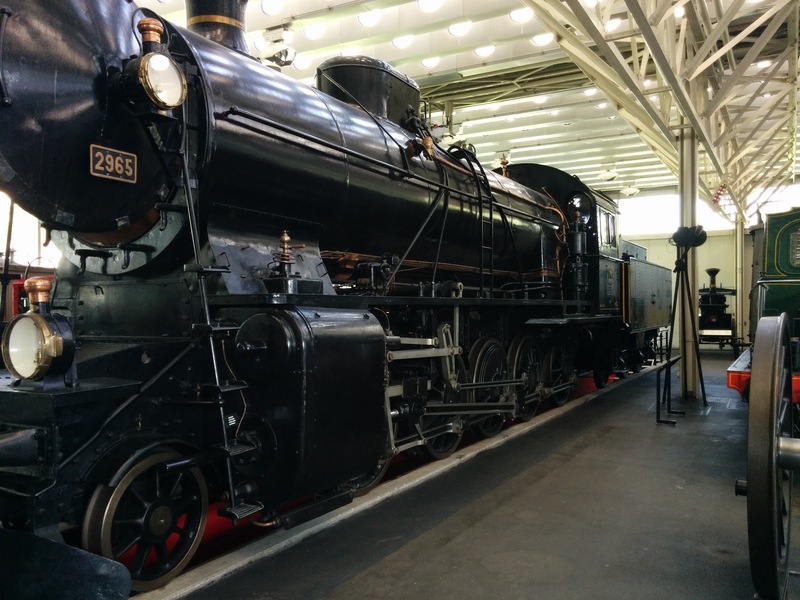 The Xrot 100 was built in 1896.